The certification of a complete vehicle is a complex project that requires experienced, professional support in all stages of the process. From the initial document preparation to certification of all suppliers, it is important that you choose a partner who has the expertise and proven track record of successful “Complete Car” CCC homologations. 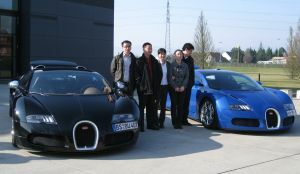 China Certification is such a partner, trusted by car companies such as Bugatti, Lotus and Tesla as an exclusive service provider to accompany their CCC certifications and complete type approvals, enabling sales of their vehicles into the Chinese market. At China Certification we work closely with the Chinese Certifying Authorities to determine which components are required to have CCC certification. Some parts are simple to identify if CCC is needed, while other components such as interior parts can be much more complicated to determine. Please send us your request by email and you will immediately receive further information from us. We work closely with your team to determine the best CCC strategy for your company. Once we understand your expectations and volume projections we can advise you of the best options available: Full CCC certification of the car, non-mass production CCC or applying for a low volume CCC exemption. Each option has different test and documentation requirements. We will identify the appropriate requirements mandated by the Chinese certification authority, and streamline the process making sure to only do the absolute required tests. Sometimes some tests can be avoided depending on the situation. China Certification has experience in working with the Chinese certifying authorities and frequently can save clients unnecessary test fees. For example, when applying for a non-mass production CCC, no crash tests have to be carried out in China under certain conditions. In the course of developing your CCC strategy we will advise you of the compulsory emission standards and restrictions imposed by the Ministry of Environmental Protection of the People’s Republic of China (MEP). There are very strict emissions tolerances for China, with more stringent requirements for Beijing. The Chinese capital is one of the most lucrative local markets in China with massive sales potential, we will inform you in detail about the current emission values that must be observed. At China Certification, we assist automotive manufacturers throughout their CCC certification and examine all relevant application documents to ensure they meet the requirements of the certifying authorities of China. We will handle all communications with the CQC, test laboratories and other relevant authorities in China and can provide accompaniment to meetings in Beijing with the CQC, should this become necessary. A pre-audit can be arranged to avoid any potential unwanted surprises. We will also assist with preparing for and hosting the audit, providing a specialized, skilled interpreter. China Certification will coordinate the import of test products and vehicles to China and ensure a smooth clearance at Chinese customs. 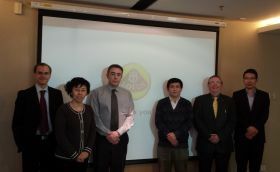 We will also manage all communications with the Chinese test laboratories and we pay all test costs. Chinese CCC regulations are updated frequently, so we monitor them regularly to insure your products are in compliance. If there are any changes, we will notify you in advance so you can make any necessary changes before your follow-up audit. Our services save clients substantial amounts of time and money and ensure a car reaches the Chinese market as quickly as possible with proper certification and hassle-free customs clearance. We will coordinate the CCC certification of all of your suppliers. Car manufacturers can save significant amounts of money by certifying multiple suppliers at once instead of requiring all suppliers to complete the certification individually. China Certification will inform you of any relevant regulatory changes and updates in GB standards, implementation rules or other changes in Chinese regulations. We monitor all notices and publications of all major Chinese authorities and are in close contact with them. If changes are required, we will work out the resulting consequences for your certification and provide recommendations. The Chinese authorities are revising and adding regulations on a regular basis. For example, they are preparing to introduce mandatory limits for fuel consumption of vehicles. Recently, the implementation rules for vehicles (CNCA-C11-01:2014) have been completely revised. A constant and careful examination of the Chinese rules is imperative, for this we advise you gladly. For car manufacturers, China Certification has an excellent service spectrum to cover all CCC needs. Please refer to our list of references to see what our customers have to say about the high-quality consulting we provide. If you seek automotive competence, please call us or send us your request by email and you will immediately receive further information from us.